This is a fabulous card. I love it. Enjoy the celebrations. 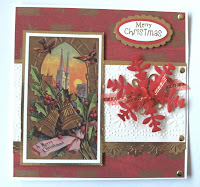 Fab card Sylvie and enjoy the festivities, they sound real exciting.